I’ve never seen the word “lamentations” in a newspaper article or a contemporary novel. Americans don’t talk much about lament. I spent most of the last eight days in lament. I cancelled everything I could, and holed up alone in the foothills of the Rockies. When I was a male, I dealt with difficulties and setbacks by ramping up my busyness. Speed was my hedge against lament. I became crazy busy. That is what I did when I was avoiding coming out as transgender. It didn’t work so well then, but nevertheless, it is my default avoidance mechanism. I choose the word “mechanism” with intent. When I resort to busyness and speed, I am attempting to engineer results instead of trusting the flow. It is not a good life plan. When you run yourself ragged by engineering results, you do not pay close enough attention to the needs of those around you. Over the past week, I did not hold space for the feelings of one close friend, and I marched right over the expressed thoughts of another. That stopped me in my tracks, rather literally, and ushered in an exhausting week of lament. The lament took hold in a number of different spaces within my heart. One area of my lamentations is private. The others I can and will share. I always acknowledge that my experience is my experience. I cannot speak for anyone else. I write often about living in a liminal space, somewhere between male and female, holding in tension the two genders within. Recently I have been lamenting that part of the female experience I will never know, particularly the experience of growing a child within your womb and everything that relates to that holy experience. Since the She Is Called Conference in May, I have been lamenting my inability to enter into the sacred circular I observe among women. I reside in its borderlands, close enough to intuit something holy, but far enough away to realize I will never know what I cannot know. Women have been helping one another give birth since the beginning of time. It is the foundation of their collaborative intuition. So much female energy springs forth from that seminal experience. I stand back and observe in awe. The loss of testosterone and addition of estrogen affects the body in innumerable ways, including ample neurological changes. Women understand the effects of estrogen. Add to that the degree to which my brain was never at peace in a male body, and you are left with a transgender woman with a plethora of complex feelings. Sometimes they pile up, like laundry, and you have to sort them before you throw them in the wash. This has been a time of sorting. I rue the days when in fear I refuse to trust the flow of my feelings and return to the old discomfort of engineering results. In those moments I do not hold space for all the things being born in my heart. In my time of lament, I listen to the flow of my heart, both its male and female parts. 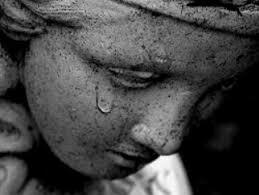 I weep from the insights and wisdom that come bubbling up, out of the pain, as precious as the Holy Grail. I am grateful I am not alone. I am blessed with a precious few who walk ever so faithfully by my side. With speaking offers and requests for book proposals and the like, the world wants to hear what I have to say from my home in the borderlands of gender. I am an inadequate messenger. I miss stuff, and sometimes the stuff I miss is pretty effing important. I need help from those who are gracious and patient enough to nudge me back onto the path every now and again. This learning to live as a female is serious business.